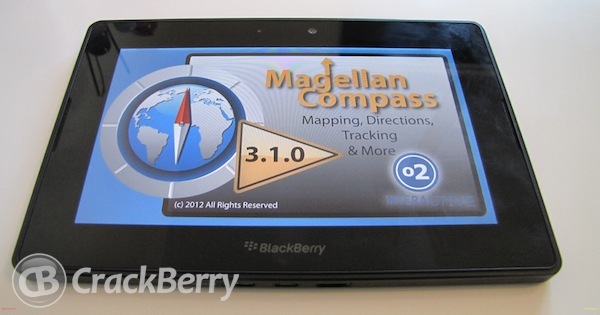 It was only earlier this week that we published the details of an ace new application for the BlackBerry PlayBook called Magellan Compass. I managed to speak with the developer yesterday, who was a very nice chap, and he informed me that the app had actually been updated to version 3.1.0 since our announcement post. The update includes better search options, easier directions for destinations and regional map caching. Having used the application myself I have now found a new love! I am pretty sure more updates will follow in due course. Real-time traffic for the U.S.
Real-time traffic incidents for the U.K.
Real-time weather radar overlay for the U.S. Along with radar animation.